One of my favourite regions of sky, I have to return time and time again to all that bright Cygnus nebulosity, I find it amazing. 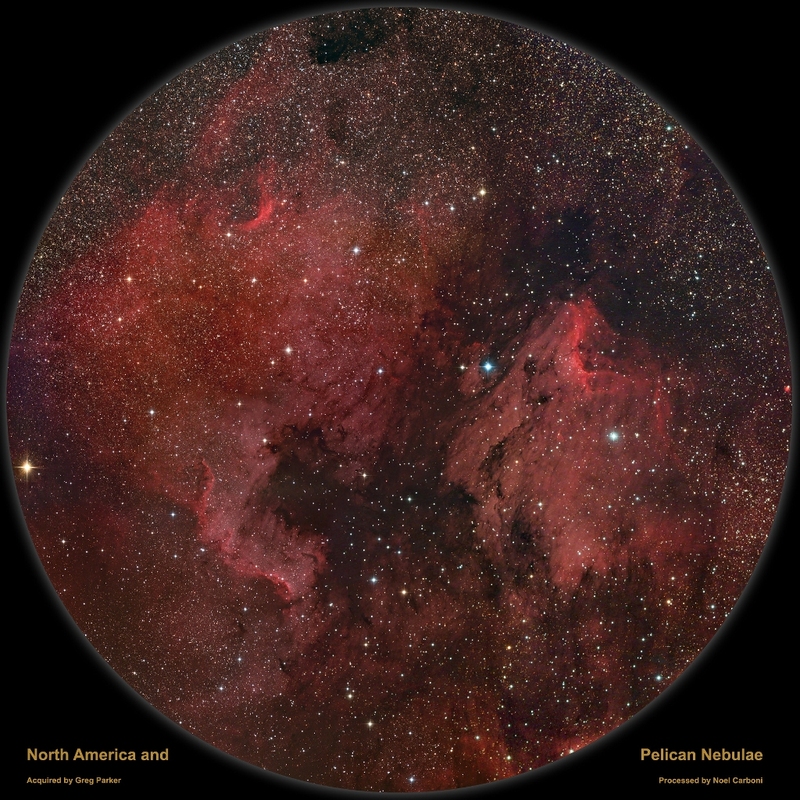 This image of the North America/Pelican region is a composite using both Sky 90/M25C and Hyperstar III/M25C data. It comprises around 6-frames and it is circular as that was the shape that gave the biggest FOV for the jaggedy edge image. Now disappearing from view for another year, I wasn’t set up in time to do a proper job on this region with the mini-WASP array – hopefully I’ll be ready to catch it next year. Weather permitting I will be going for a mini-WASP 4-framer of the region (6 x 4 degrees) including H-alpha, OIII and SII narrow band data.